The infrastructure of the world’s biggest cities isn’t going to change, even if the way we interact with them has. In the US, nearly 70% of the population now live in cities- all of them need a way to get around. Electric mopeds provide cheap, eco-friendly commuting options without putting more cars on the road. 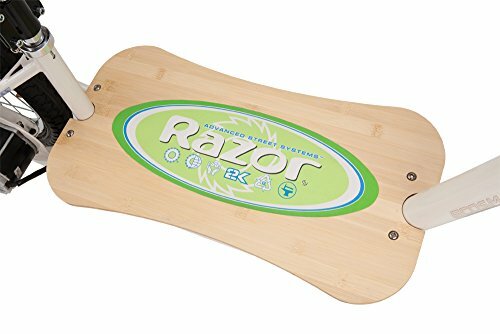 It’s this problem that established push-scooter company, Razor, are trying to solve with their Eco-smart Metro electric scooter. There’s something very dainty about the looks of the Eco-smart Metro. 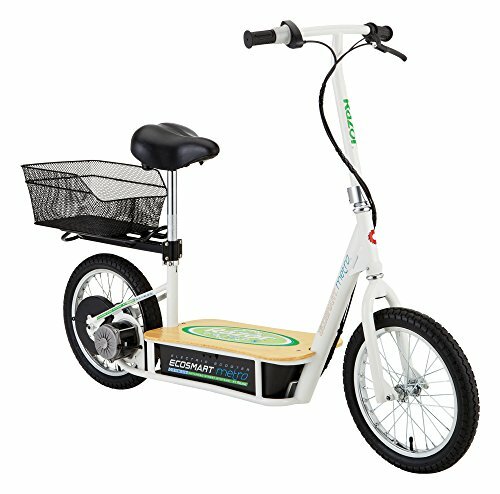 The clean, single bar scooter frame is supplemented with a bicycle saddle, basket and bamboo coated standing deck. 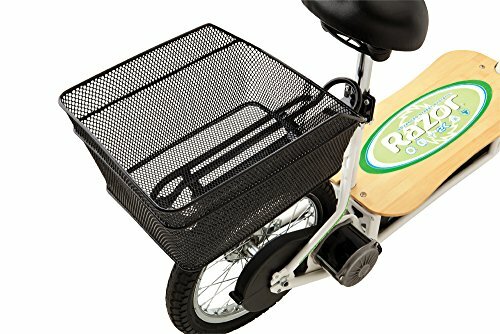 You can imagine this replacing the paper-boy’s bicycle in quaint suburbs around the US. It’s very simple design not only looks appealing but also helps to keep the weight down, aiding performance. Underneath the standing deck is a 500Watt high-torque motor. For an adult’s moped that’s a little low-powered, although the feather light 67llb unit helps to offset that lack of power. 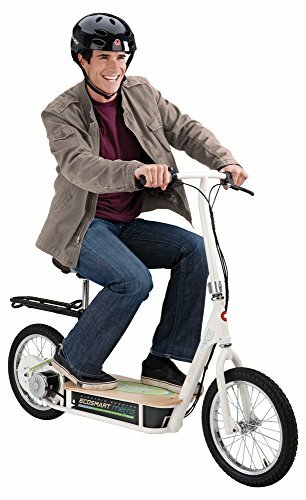 Flat out you can reach 18mph whilst the battery will last for 40 minutes continuous usage. This moped was designed for short, journeys rather than longer commutes. The wheels are a comfortable 16” although the lack of suspension means you may be in for a bumpy ride on rougher roads. Acceleration is controlled by twisting the left handle-bar and braking by squeezing the right. It’s very easy to pick up whilst the ride feels light and nimble. Efficiency should always be at the top the agenda when it comes to electric powered vehicles. The Eco-smart Metro uses a chain driven motor which is less efficient, but more resilient than belts. Unfortunately, that can lead to surging which drains the battery faster and makes the ride a little jerky. 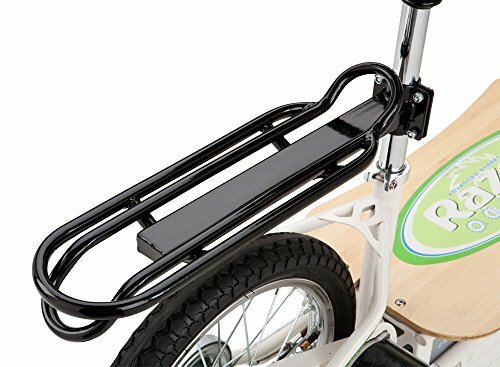 Due to the scooter-like design of this model, you can always add a little push power to help eek the most out of your battery life. 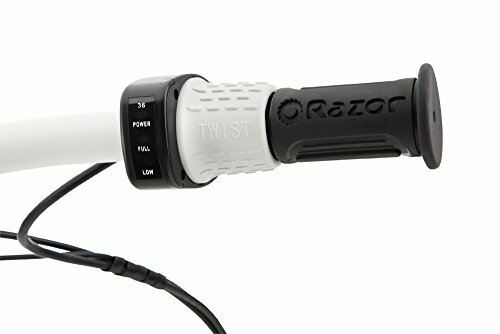 Razor should be given credit for providing an electric scooter at a price most people can afford, although the battery could have been better designed. It’s a lead acid battery which is quite rare on modern products. Lead batteries are larger, heavier and less efficient than their lithium counter-parts. 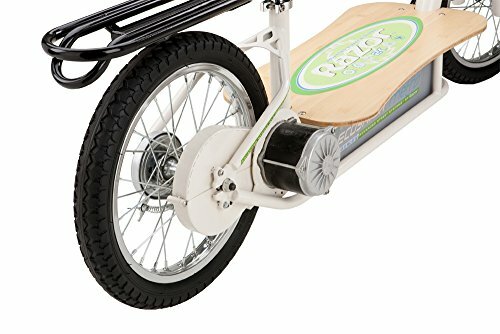 Yes this scooter is cheap, but a lithium battery would be worth paying extra for. Design-wise I can see the battery, which is slotted under the foot panel, getting damaged easily riding up and down curbs. It’s also tricky to charge with a plethora of wires to navigate over and a wait of around 8 hours. 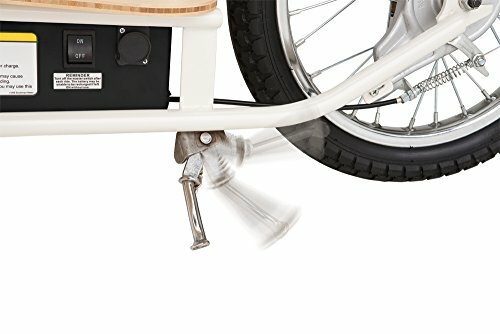 For me, these aspects really let down what is otherwise a well-made, enjoyable and affordable electric scooter. There’s a lot to like about this scooter. It’s green, nimble with an attractive, simple design. The frame is light-weight and you can push it yourself to extend the life of the battery. There are some design flaws in the placement of the battery whilst the lack of a Lithium Ion energy source is a little disappointing. Having said that, the Ecosmart Metro is very affordable and will come in handy for short trips to the park or café. 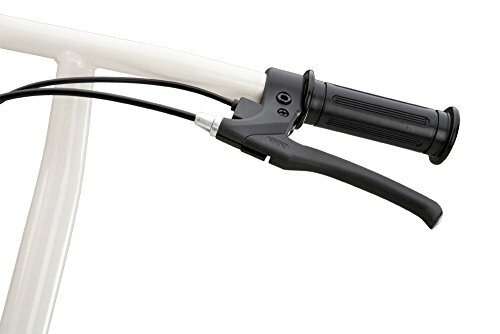 can these have the battery power switched to manual and be ridden manually so you don’t waste juice when you don’t want to? 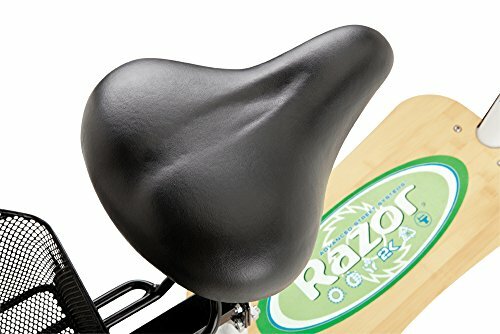 Technically, you can ride it without battery power ( IE the wheels won’t lock if powered off ), However according to the FAQ section of the amazon product page, It can be difficult for taller riders to reach the handlebars while standing and pushing off from a seated position would probably be difficult for any length of time. Here’s the FAQ section where it addresses your questions (and many others) Hope that helps!